Conditions: Fall, cool air in the mornings, warm afternoons, fresh snow!. We took a couple of days and hiked through the Mt. Jefferson wilderness around Olallie Lake and Olallie Butte. 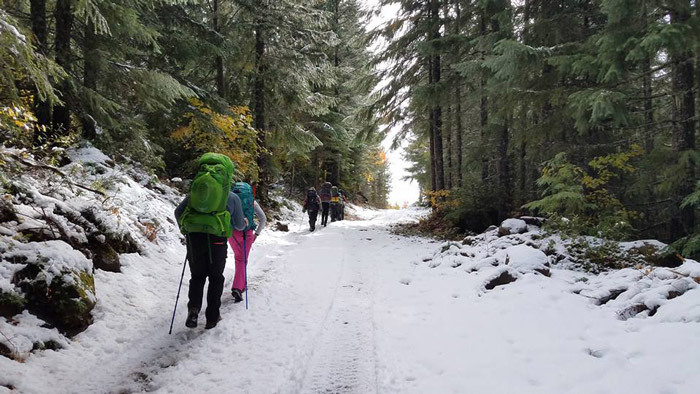 There are many different trails in the area, but we decided to mainly stay on the Pacific Crest Trail. I like the PCT because it’s the most trafficked trail in the west so it’s usually very well marked. We packed for 2 nights and 3 days. A 70-liter packed worked great for this. I brought a light backpacking tent, a down sleeping bag, and the rest of the essentials. My best advice is to check out maps before you go and plan a route. We decided to do a there and back, so we didn't have to set a shuttle elsewhere. I will say that now that I know the area there are plenty of "loop" options if you don't want to walk the same piece of trail twice in a weekend. What I loved most about the area was the epic views of Mt. Jefferson that would peek out when we would turn a corner or crest a hill. 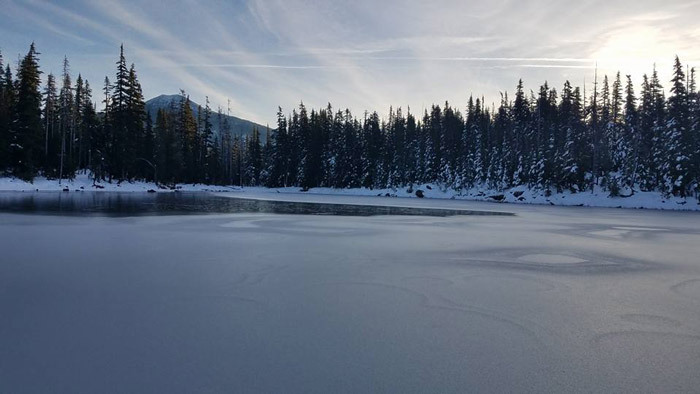 If you stand at Olallie Lake itself on a still day you can get a great reflection shot of the Mountain. While we were out on the trail, we did see Elk, and Bears tracks....so be smart out there! It was easy to find a camp spot on the trail each day. We did have a surprise 6 inches of snow on us, but we took it as a pleasant surprise! Always be prepared for precipitation in this area. 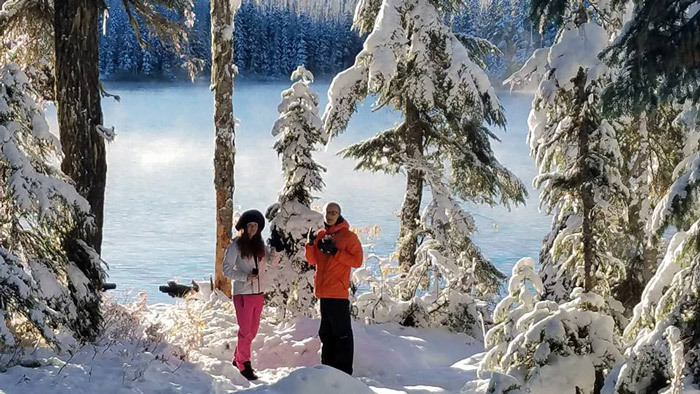 All in all, Olallie Lake is a breathtaking spot with endless overnight or day hikes in the surrounding area. 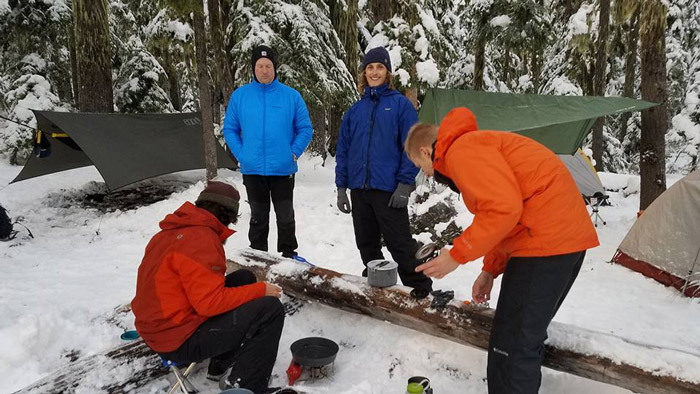 And if you want to car camp you can stay at the Olallie Lake Campground!